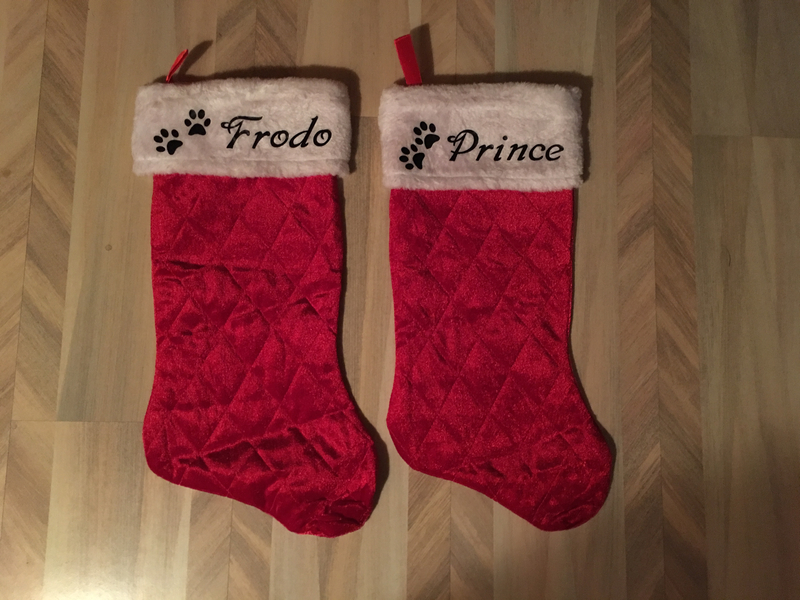 Put names on stockings for my Daughter's two dogs. Used HTV vinyl. I don't have a heat press (too big and expensive). I used the Easy Press. Those work a treat - lovely idea. Thank you. I told her she needed to fill them to the top for Frodo & Prince. They can be a nice looking Christmas decor also.